I’ve always been fascinated by architecture. During my travels over the years, I would always be captivated by the architectural quirks and styles that defined that specific location. I would frequently stop at unique buildings and streets to take a picture and capture the architectural beauty that would make up a city’s streets (at the expense of my family’s patience). 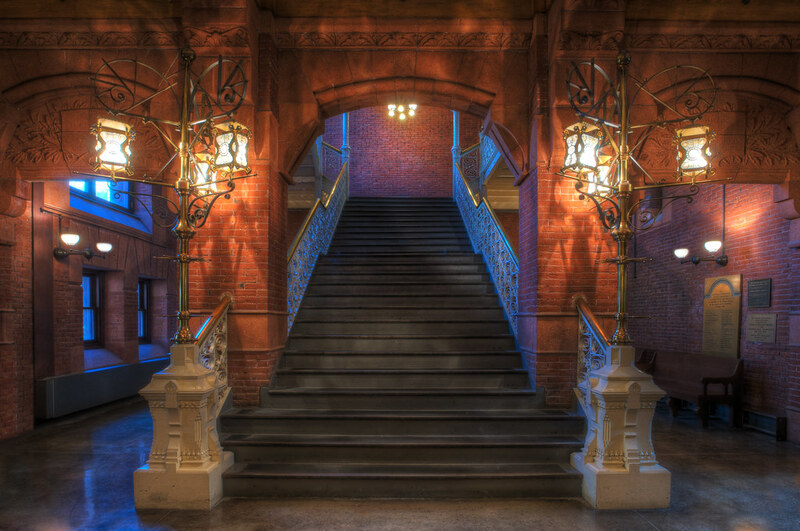 Turns out, the library was designed by the acclaimed Philadelphia architect, Frank Furness (1839-1912). The building was even designated a National Historic Landmark in 1985. The library’s blueprint was considered to be exceptionally innovative at the time – the main reading room is divided into 4 stories by an arcade from the ‘Rotunda Reading Room’, which takes inspiration from Ancient Roman architecture. Above the Rotunda is a two-story lecture hall, which is now used as an architecture studio. Throughout the building, there are windows inscribed with quotations from Shakespeare, chosen by the architect’s older brother, Horace Furness. The Fine Arts Library we know today used to serve as the main library at Penn until the construction of Van Pelt Library in 1962. Now, it mainly houses collections related to architecture, landscape architecture, city and regional planning, historic preservation, history of art, and studio arts. I would really recommend to give it a visit, if you have not done so already, just to admire the architectural details that have gone into the building, over 100 years ago!